Welcome to Arkham City, the new maximum security "home" for all of Gotham City's thugs, gangsters, and insane criminal masterminds. Figures measures from 4 1/4-inches tall to 7-inches tall. Ages 14 and up. Set inside the heavily fortified walls of a sprawling district in the heart of Gotham City, it's filled with the most murderous villains from DC Comics' Batman universe. But Batman is ready to tackle it with all-new gadgets and his greatest and most dangerous - allies. Which is good, because he'll need all the help he can get for his journey into the darkest corners of Gotham. 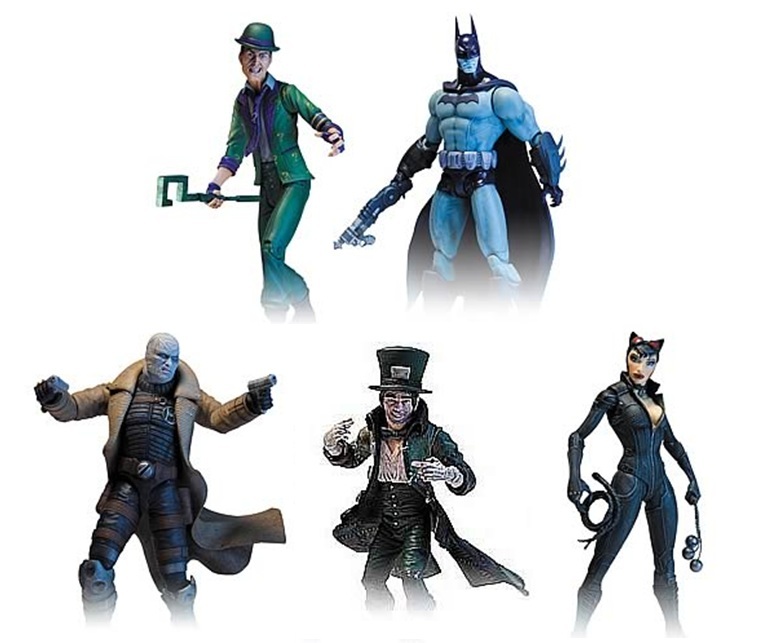 These figures are based on the blockbuster video game published by Warner Bros. Interactive Entertainment, developed by Rocksteady Studios. Figures range from 4 1/4 to 6 4/5-inches tall.